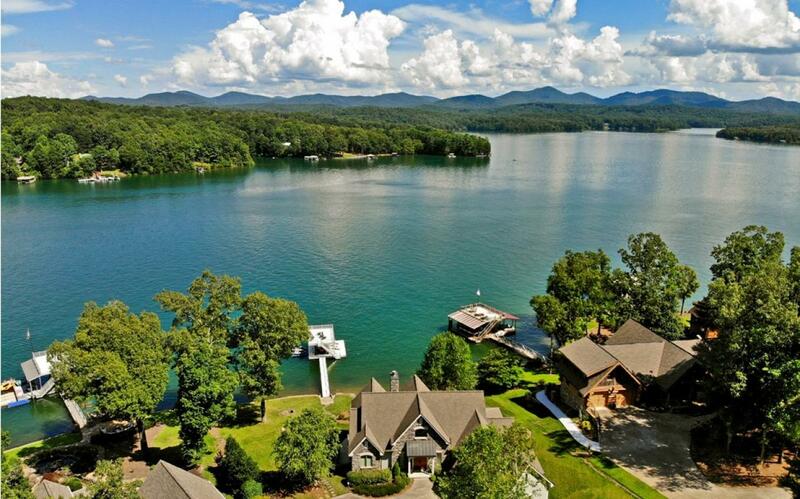 Waterfront modern elegance'¦ Overlooking the sparkling waters of Lake Blue Ridge, this masterpiece of design & craftsmanship is sure to wow you & your guests from the moment you arrive. Just 5 mi. from downtown Blue Ridge, this gem is located out all paved rds & is an amazing prospect for both full or part-time living. This exquisite estate showcases over-sized manicured grounds; top-of-the-line chef's kitchen w/ premium finishes & tremendous dining & living space w/ stone fp overlooking breathtaking scenes; hardwood & tile floors throughout; custom showers; sauna & more. The soaring ceilings & expansive windows bring the heavenly combination of mountains & freshwater indoors. Whether inside or out, you will entertain in grand style, as this waterfront residence is graced w/ entertaining space galore that leads right to the waters edge. This divine jewel is a rare opportunity & now is the time.